Need a cool smartwatch? 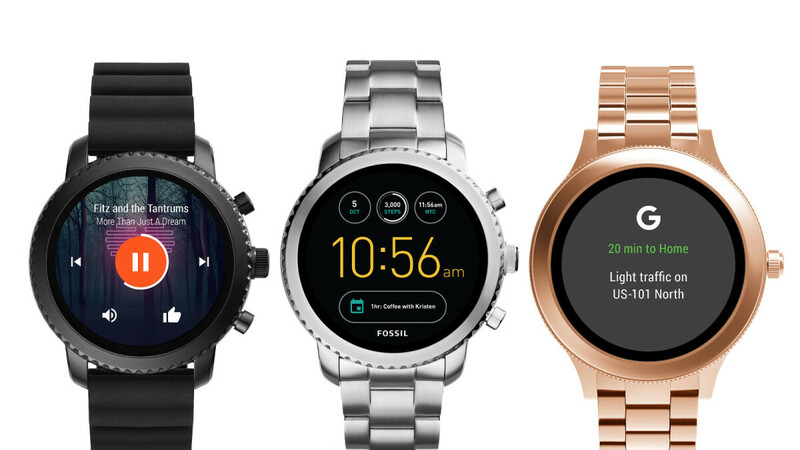 Fossil Gen 3 wearables with Wear OS are up to 50% off! Deal alert! There are some killer bargains to be found at Fossil's semi-annual sale. The fashion company is taking off up to 50% on some of its most stylish gear, including its Wear OS-powered wearables, hybrid smartwatches, and even some trendy accessories. Fossil Gen 3 smartwatches in different colors/straps - The latest gen Fossil watches are powered by Wear OS and feature a plethora of different straps and designs. They also have a very bright screen, built-in fitness tracker, programmable buttons, and are between 20-35% off depending on the color you choose. Refurbished Gen 3 smartwatches - the same as the above, but in a refurbished condition. Still, it's important to note that the discount here is close to 50% and that Fossil has a 2-year warranty on its refurbished products. Nate hybrid smartwatches - If you're not adamant on having Wear OS but still want some smart functions, you might want to check out the hybrid timepieces offered by Fossil. These feature a built-in fitness tracker, notification alerts, sleep tracking, and controls for music. Also, the battery life is considerably longer compared to a smartwatch. The discount here is around 45%. The sale ends on January 27th, so make sure to place an order before then if you're interested. Shipping is free, and certain items can even be engraved and embossed for free as well. As we mentioned above, the sale includes a lot of different items, and if you'd like to check them all out, follow this link.